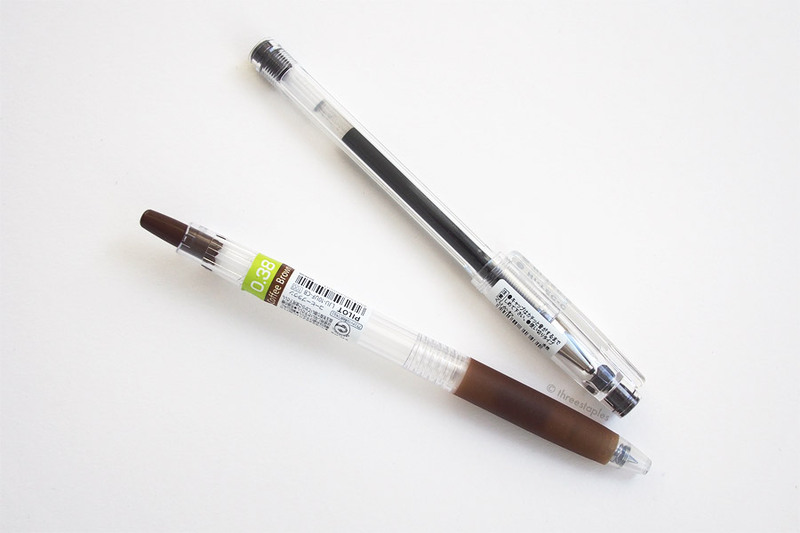 I’ve always felt the color of Pilot Juice’s Coffee Brown was very similar to Pilot Hi-Tec-C’s Kurikawa (chestnut bark brown) but I never bothered to take pictures of these two gel pens side by side for a closer look. So here are a bunch of pictures! I tried to portray them as faithful as I could but in some pictures the difference between the two colors may be slightly exaggerated. This is a comparison of the colors only, not of the pens as a whole. 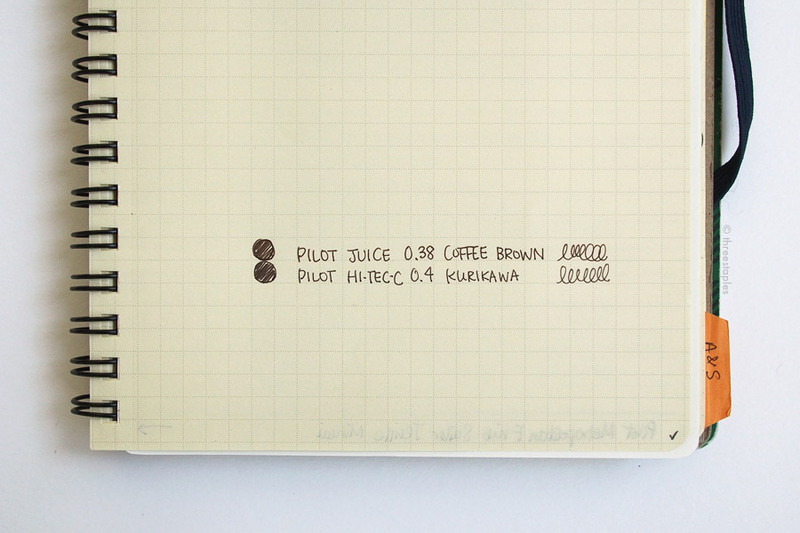 Kurikawa 0.4 mm (left) and Coffee Brown 0.38 mm (right), tested on LIFE Stenographers’ spiral note in A5. 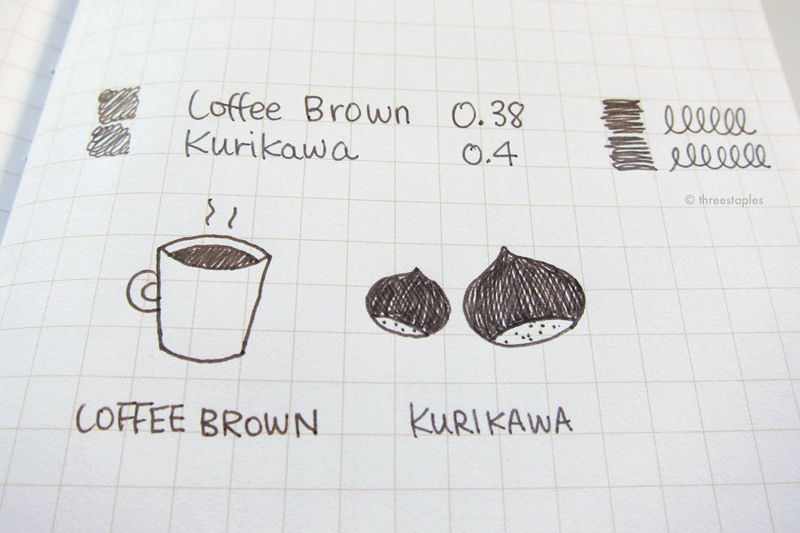 Kurikawa and Coffee Brown are really similar, don’t you think? Value-wise (which I test by squinting my eyes), they’re pretty much the same. Color-wise, you can see that Coffee Brown has slightly more yellow, and that Kurikawa is cooler with a hint of gray. In that respect, the color details on their pen bodies, like the knock/cap tip and rubber grip, represent their ink colors well. On a quick glance though, the two colors are pretty indistinguishable, especially for “normal” writing. Only when you shade a bigger area can you start to see the difference. Doodles on Finch Paper in standard kraft Field Notes. More testing on the lovely Le Typographe mini memo pad. More scribbles on Delfonics Rollbahn notebook. I really love both colors; they’re both understated, muted shades of brown than most other brown gel pens. 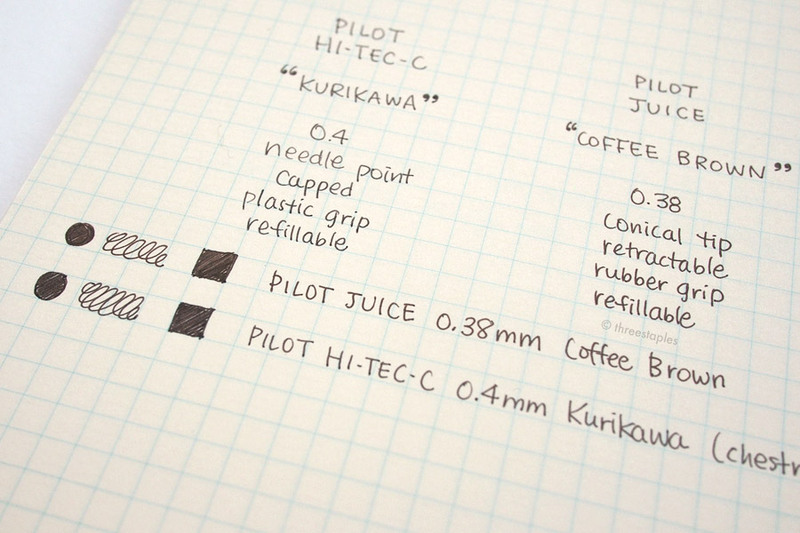 But if I had to choose, I would pick Hi-Tec-C’s Kurikawa because I think it’s more unique than Coffee Brown. 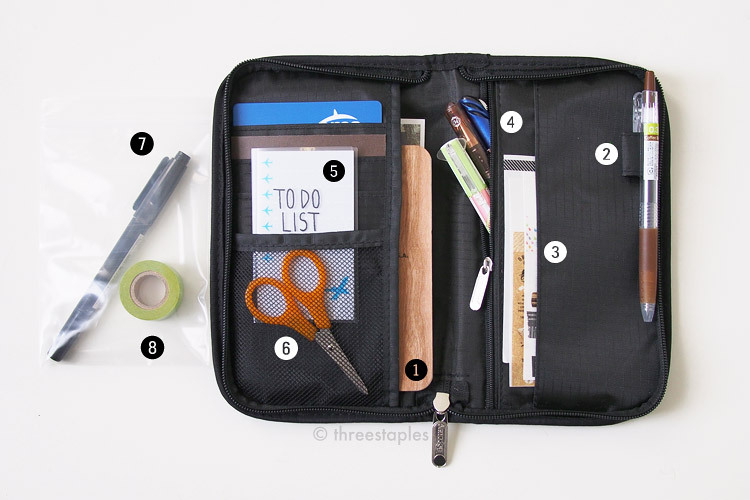 The Pilot Juice barrel fits my hand better though, so I use Coffee Brown regularly, too, especially on my weekly planner. It’s too bad the refills are not interchangeable. Do you have a strong preference between these two lovely brown colors?